Studying two rare inherited cancer syndromes, Yale Cancer Center (YCC) scientists have found the cancers are driven by a breakdown in how cells repair their DNA. 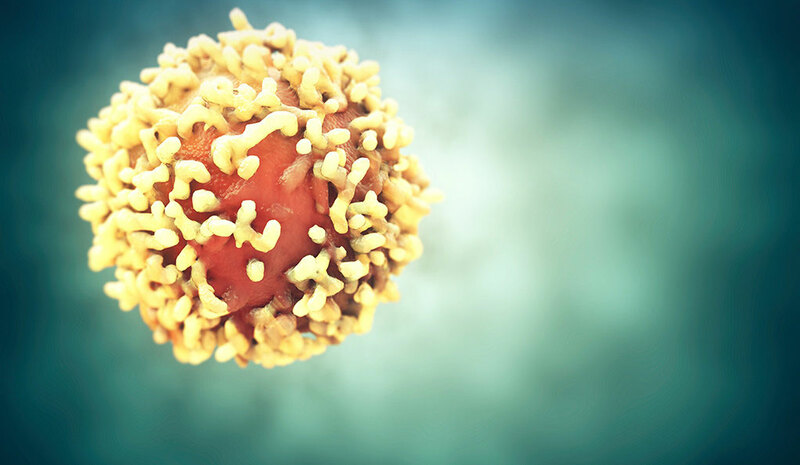 The discovery, published today in Nature Genetics, suggests a promising strategy for treatment with drugs recently approved for other forms of cancer, said the researchers. The two conditions — called Hereditary Leiomyomatosis and Renal Cell Cancer (HLRCC) and Succinate Dehydrogenase-related Hereditary Paraganglioma and Pheochromocytoma (SDH PGL/PCC) — boost the risk of tumors that may be benign or cancerous. Oncologists aim to remove tumors by surgery, but treatments are largely ineffective if the tumors have become metastatic. In both inherited cancer syndromes, cells produce abnormally high amounts of metabolites, which are part of the biochemical process that the body uses to turn carbohydrates, fats, and proteins into energy. This is due to inherited defects in the genes that encode for enzymes that normally process these metabolites. The Yale investigators discovered that these high levels of metabolites can degrade a process known as homologous recombination, by which cells mend DNA damage that occurs when they divide. “Our finding identifies an Achilles heel for these tumors, which potentially can be treated using a new type of medication, called a PARP inhibitor,” said Peter Glazer, M.D., Ph.D., chair of the Department of Therapeutic Radiology at YCC, and co-corresponding author on the study. PARP (poly ADP-ribose polymerase) inhibitors are designed to kill off cancer cells that already have lost some of their ability to repair their DNA via homologous recombination. The inhibitors aim to wipe out DNA repair completely, thus killing the cell. The Food and Drug Administration has approved three such drugs to treat breast, ovarian, and other types of cancers with mutations in BRCA genes that disrupt homologous recombination. Scientists have struggled to find which clues, aside from BRCA status, can predict exactly which patients will benefit from the drugs. “Our research is identifying additional biomarkers for tumors that are sensitive to PARP inhibitors, which will be helpful to the field,” said Parker Sulkowski, a graduate student in Glazer’s lab and lead author on the paper. Analysis of these sample tumors indicated defects in DNA repair. The investigators then performed experiments in multiple kinds of human cells that model the two inherited syndromes. These studies demonstrated that the two metabolites could suppress the homologous recombination pathway and leave the cells sensitive to PARP inhibitors. Next, the investigators modeled the disease in a series of experiments in “xenografts,” in which human tumor cells were implanted within mice. As with the cell experiments, treatments with a PARP inhibitor consistently and significantly slowed tumor growth in the mice. Be the first to comment on "Scientists Suggest New Treatment for Rare Inherited Cancers"